The Cuddon Document Freeze Dryer is designed to handle the drying of books, manuscripts, artefacts, animal specimens, floral products and other like material that may have been damaged by water. It is ideally suited to libraries, museums and organisations engaged in conservation, preservation and fumigation work. 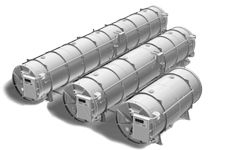 The Cuddon Document Freeze Dryer requires no water or drainage and is easily manouverable on four permanent swivel casters. The product chamber has a large, clear viewing window so that the product may be observed throughout the restoration process. Initial freezing of the product is carried out rapidly by using an interior evaporator which is coupled to a 1.5kW refrigeration unit. This refrigeration unit also maintains the low temperature in the vapour condenser chamber. In order to maintain a regulated sublimation rate, the temperature on the shell of the product chamber is regulated. The temperature of the vapour condenser chamber, housed below the product chamber, is lower than the temperature of the product chamber to facilitate the migration and condensing of the sublimated water vapour. To allow prolonged drying of dense, thick material, defrosting of the vapour condenser chamber can be done during the drying process. This is achieved by simply closing the product chamber valve and selecting 'defrost'. 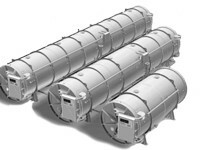 Fumigation can also be carried out by this document freeze dryer, either following the freeze drying process, or as a straight fumigation load. The fumigation process involves a sequence of evacuation and controlled fumigation gas injection. A separate port is included to allow gas analysis. A large range of fumigation methods and fumigants are available. Please ensure your method or fumigant is included in the specifications when consulting with Cuddon Freeze Dry. Find out more about freeze drying documents.